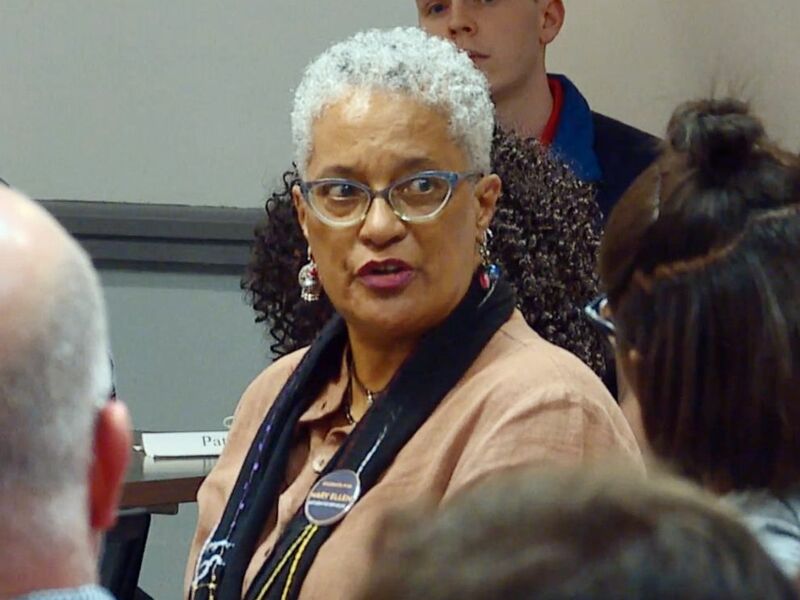 Melisande Short-Colomb, a sophomore and descendant of the 272 slaves sold at Georgetown University speaks at a town hall debate in support of the reparations referendum in Washington, April 3, 2019. 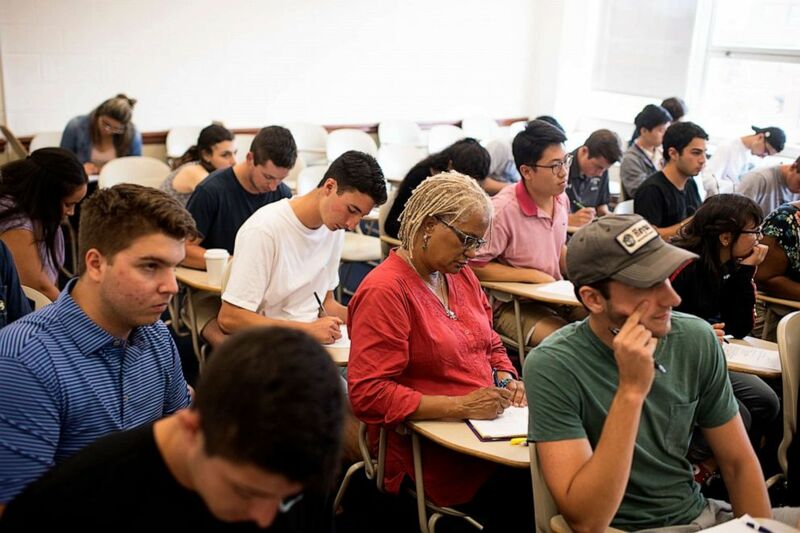 Melisande Colomb, 63, is majoring in African American Studies at Georgetown University and is photographed in Washington, DC, Aug. 30, 2017. 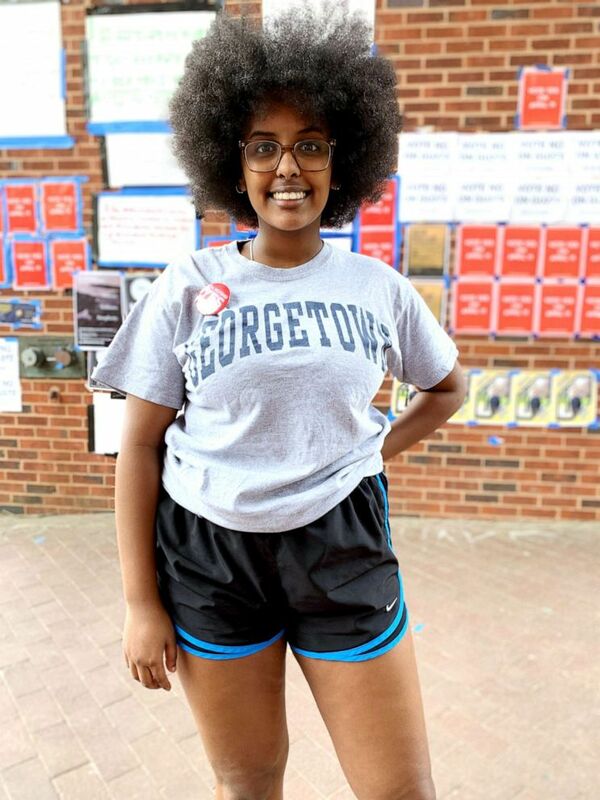 Hannah Michael is a Georgetown sophomore from Houston, Texas, studying African-American Studies. 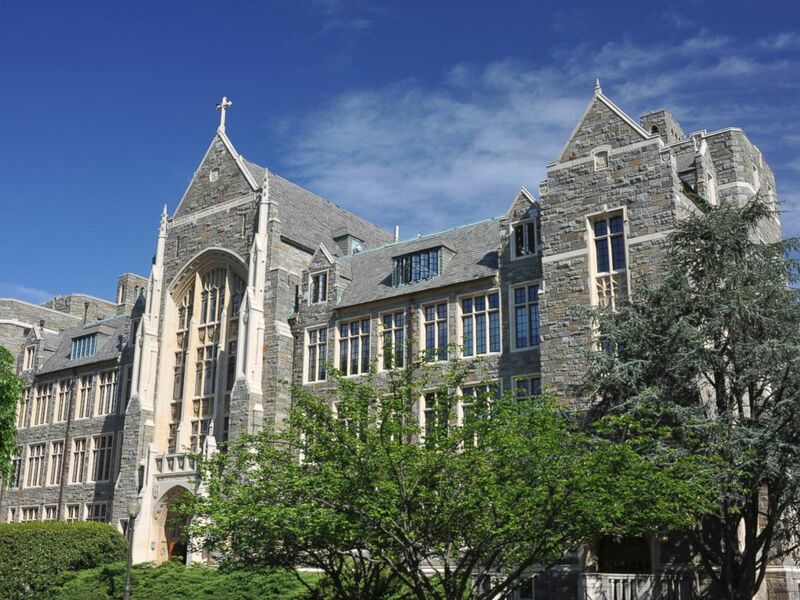 White-Gravenor Hall of Georgetown University is shown.